I take it that you are into starting your own woodworking craft business. Perhaps you are stuck for woodworking business ideas? If you plan on selling your woodworking from your own garage or yard then this article may help you start some creative thinking as to what you are going to produce for your woodworking business. This is a critical step. If you know what you are going to be making then you will know what tools you will need and the plans you will need to secure. Does the figure $19,595,000,000 mean anything to you? No? Well that's the estimated annual sales just from the top 9 toy makers in the world (source: TheRichest.com)! So with that in mind don't you think that toys sell very well? They are not even that hard to make but they have a high perceived value which means that it will be easy to get parents to part with their cash to make their kids happy. Out of curiosity, I did a Google image search for the keyword "simple wooden toys" just for some inspiration on what toys could easily be made. Take a look! Now if you have any woodworking experience then you will know that these are very easy to make and I would say that any of them would easily fetch $10 on the market. The added bonus with making wooden toys is that they are a lot of fun to make and are going to make some kid happy. Obviously just make sure that any toy you give a kid is sanded smooth and protect with a non toxic wood finish. Beautiful and practical is what all furniture in the home should be and the furniture market is enormous. If you keep up to date with latest fashion trends then you will have more of an easy time selling your furniture. You can sell your home made furniture online on sites like ebay.com, craigslist.org, backpage.com. Just have a search and you will see that wooden furniture is being sold all the time all over the world by woodworkers. If you can reverse engineer and see what furniture is being sold time and time again then you incorporate this into your furniture building efforts. And on the same theme as the toy making above don't forget children's furniture which can be made from children's furniture plans. Every home needs a perimeter fence. And all fences need replacing at some stage. So there will always be a need to either build new fences or be in the fence repair business. Luckily for you fences can be made inexpensively by stripping pallets for their wood and nailing them to lengths of 4 by 2 planks. Like in this picture below. A 3.5 ft by 8 ft fence panel sells for up to $25 if you check online stores like Lowes. Thank you for reading this blog post. 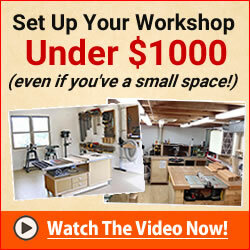 I hope that it has been useful and maybe sparked some creative ideas for your woodworking business startup. This is obviously not a fully comprehensive list of wooden articles that could be made but they prove to be very profitable. It's not going to be hard! It may be best to study your local wooden furniture shop. Take note of all the types of things that get sold regularly. Also take note of all the items that could easily be made with simple woodworking tools. Another exercise would be to take note of what sells on ebay and for how much and come with ways you could out-value each piece and devise ways in which you could make it cheaply.